With an open lake view by its side, it stands as a pure aesthetic of a unique environment that could easily host a feast for a large crowd. 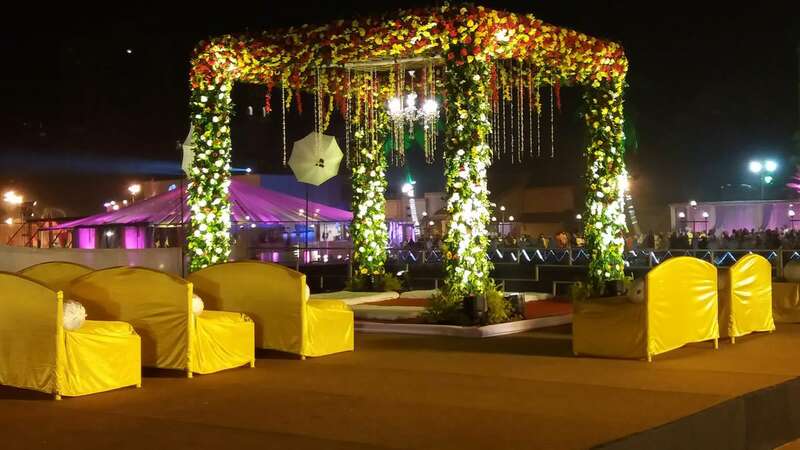 A total of 24000 sq ft space includes a wide lawn that spreads across 18000 sq ft alone and in addition a marvelous 6000 sq ft on water platform helps it to accommodate 600 to 1200 invitees at one time. 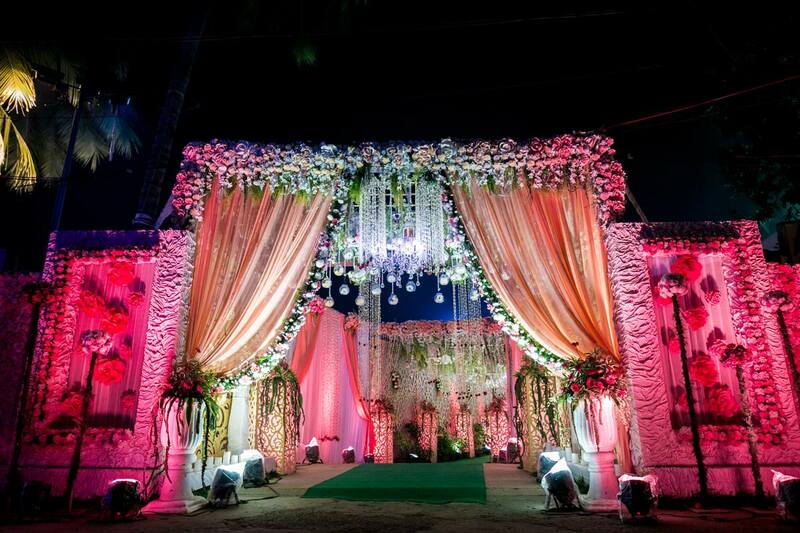 Most suited for any kind of theme based wedding or a large event, it is a spectacular venue to choose from. 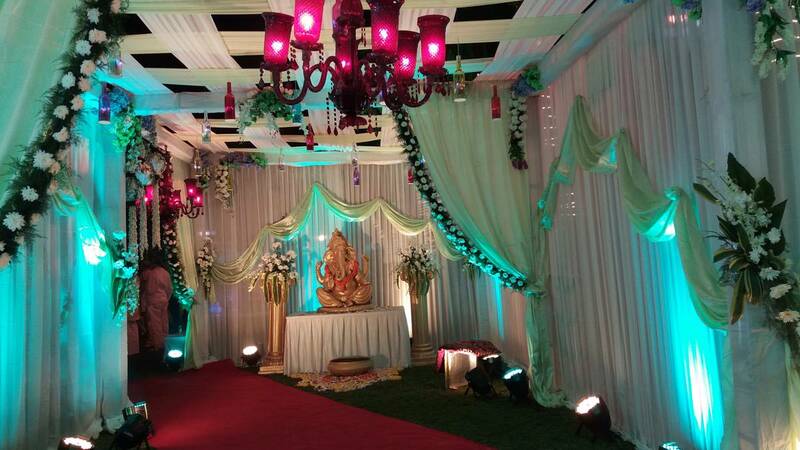 You could also design different corners in different styles and sections, erect a mini bar or create a V.I.P lounge; buffet sections could be arranged with Vegetarian corner and Non-Vegetarian being separate. 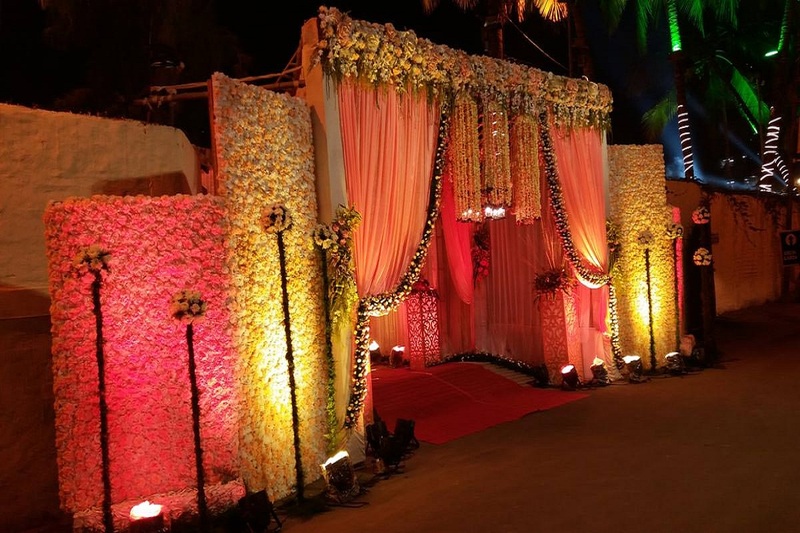 This venue offers a wide range of an easy customization. Including availability of fireworks. 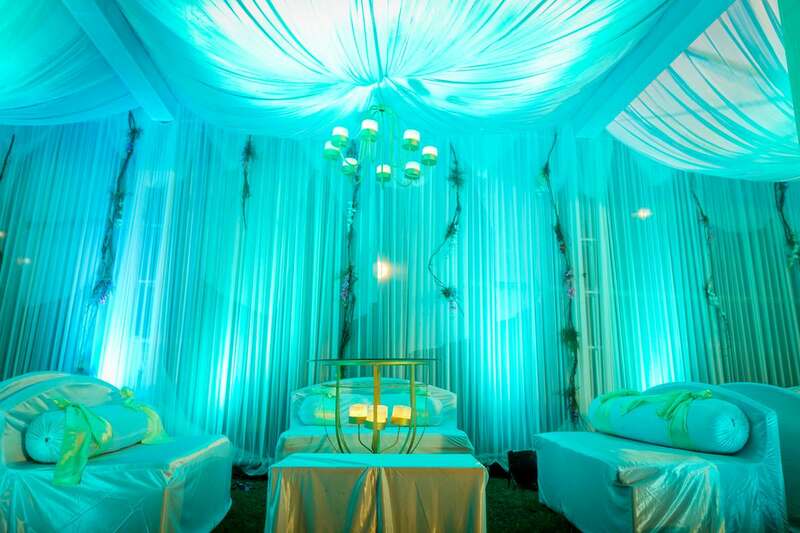 Add Hanger banquets or create a grand themes, it lets you impress your invitees and makes the event special. Furthermore, you get a separate room, separate kitchen, separate rest rooms and parking space.